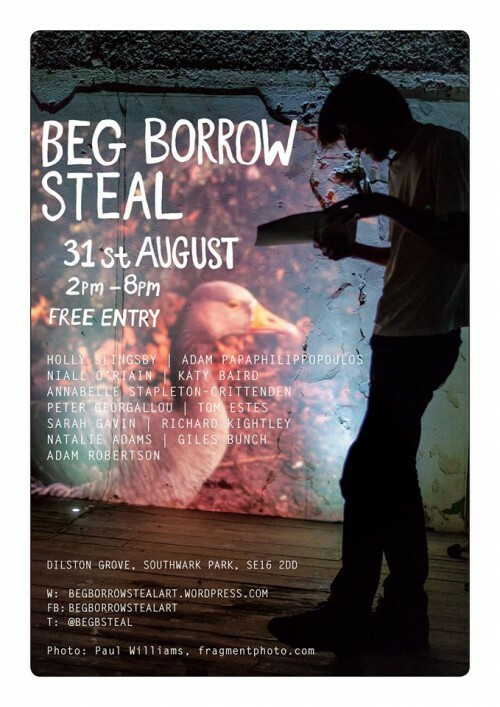 For BEG, BORROW, STEAL #2, Laura invited Sarah Gavin of Art Pendeo to co-curate and artists were invited to respond to the theme of ‘degenerates’. Those who took part in the previous BBS were invited back, either to develop their previous work or try something new and yet more artists became involved. Photo documentation of the performances by Billy Taylor, Tom Jackson and Rachel Dowle can be found on this site.